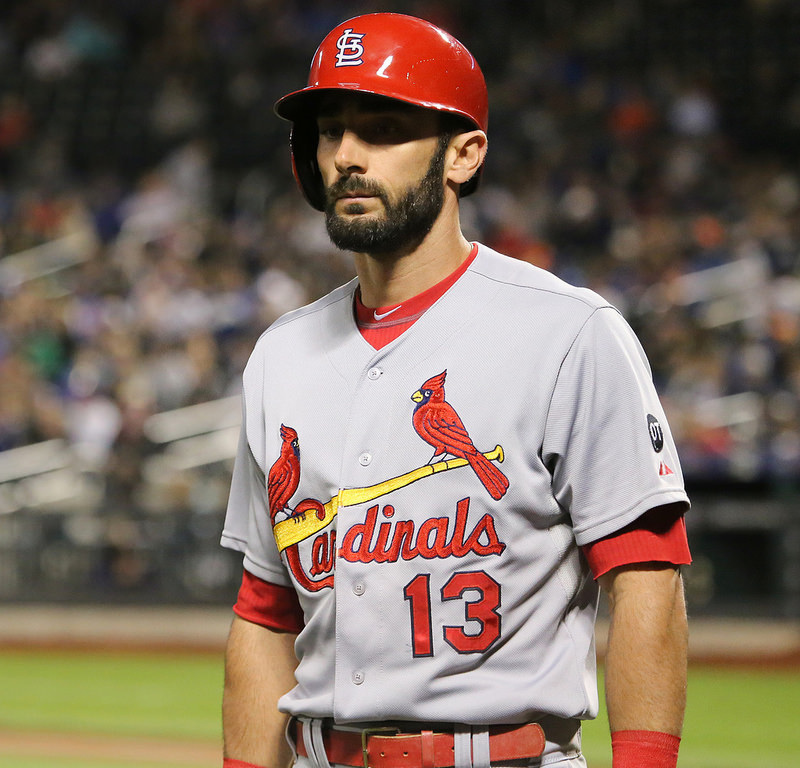 Would you believe that Matt Carpenter wasn’t an All-Star last year? The previous 2 seasons he was. 11 HR in 2013; 8 HR in 2014; 28 HR in 2015 and not an All-Star. Stupid Todd Frazier (more on him later). Carpenter found his power stroke last season, and it wasn’t a fluke. It a conscious effort on his part. When you look at Carpenter’s numbers, the two that jump out at you as significant changes are, of course, Home Runs and Strikeouts. Last season, he added 20 HR and 40 strikeouts to his 2014 totals. What happens when you swing too hard, Little League coaches? You miss the ball more often. Period. This is evidence that Matt Carpenter made a conscious effort to change his swing to shoot for more Home Runs in 2015, and it worked. He may not admit it, but the statistical indicators prove otherwise. Of course, this made him more valuable to fantasy owners than anyone thought he would be, especially since more fantasy league scoring systems don’t count strikeouts. Matt Carpenter's HR surge in '15 was no fluke, although he may tone it down in '16. *Added strikeouts with added home runs – no surprise. If HRs come down, so do strikeouts, but Avg. should rise near .300. *Consistent batting average, to say the least. *Stats are begging the organization to move Carpenter to the 3 spot in the lineup. This year, we hope to see Matt Carpenter even things out a bit. We’d like to see him settle down and hit about 20 HR. That would also, very likely raise his batting average to the .290-.300 range, and it would also leave his RBI total around 70-80. He also might find himself moved down in the lineup if his power surge continues. If so, that would mean you can expect 90-100 Runs, 20 HR and 90 RBI, but that’s only if he gets moved into the 3-5 spots in the lineup.